Bryan Opert who holds and Honours in Education lives in Cape Town with his wife and seven children. He teaches in a number of spaces including adult education and the first Bnei Noach community in South Africa. Bryan also runs EQ development programmes in disadvantaged schools and institutions for the management teams and teachers. 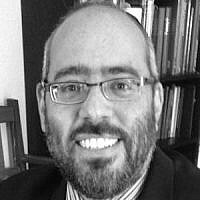 With his Rabbinic ordination Bryan has held rabbinic positions in Zimbabwe, South Africa and Australia.